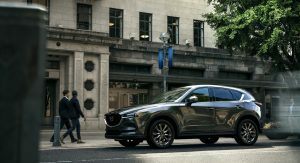 Followings its debut in Japan, Mazda has introduced the 2019 CX-5 at the Seattle Auto Show. Starting under the hood, the crossover is now available with a turbocharged 2.5-liter four-cylinder engine that produces up to 250 hp (186 kW / 253 PS) and 310 lb-ft (419 Nm) of torque. 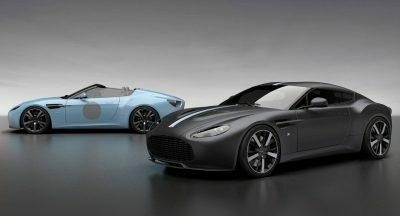 It is connected to a six-speed automatic transmission which can be paired to an all-wheel drive system. 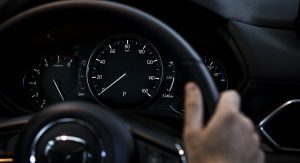 Sticking with the performance theme, all 2019 CX-5s will come equipped with a new G-Vectoring Control Plus system which “makes steering response more precise and consistent by using small changes in engine output to shift weight to the front tires whenever the driver turns the wheel.” The original G-Vectoring Control system used to do that as well, but the new system also “improves steering response as the driver straightens the wheel, by adding a hit of braking to the outside front wheel.” The system is entirely electronic and Mazda says it improves stability as well as driver confidence. Other changes include a revised steering system and a retuned suspension that promises to provide a more comfortable ride. 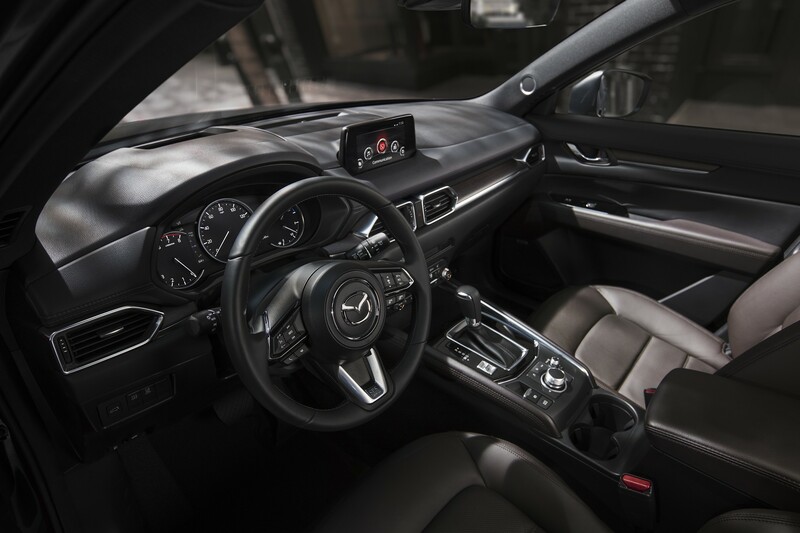 Speaking of comfort, the 2019 CX-5 gains a new Signature trim which draws inspiration from the range-topping CX-9. 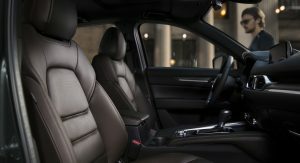 As a result, the crossover comes nicely equipped with Caturra Brown Nappa leather, genuine wood trim and satin chrome accents. 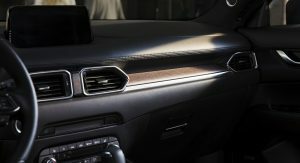 Other highlights include heated and ventilated front seats, heated rear seats and a heated steering wheel with unique stitching. If that wasn’t impressive enough, drivers will also find a head-up display, ambient LED interior lighting, a 10-speaker Bose audio system and a 360° View Monitor with front and rear parking sensors. The standard model hasn’t been completely overlooked as it’s cabin gains an updated infotainment system which now supports Android Auto and Apple CarPlay. 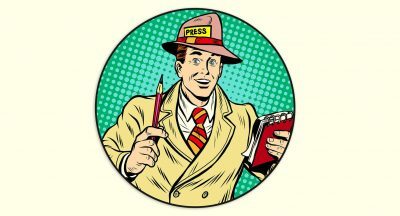 Customers will also find several new options including ventilated front seats and a three-year subscription to SiriusXM Traffic and Travel Link. 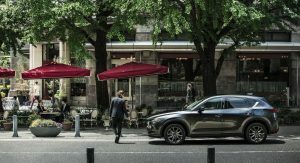 The 2019 Mazda CX-5 will go on sale this fall and additional information will be announced closer to launch. best package in the segment… now the only thing that needs to be redone to be perfect is that central display with its software / graphics. Yup that’s the only eye sore for me. The graphics and design look pretty cheap. The saving grace is that you can use apple carplay or Android Auto to get around that. They made an ugly nose! Since the Mazda6 Signature is close to $40K, I predict this will be too. Which makes me question the value quotient. 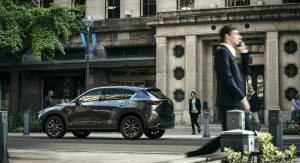 Would you rather a fully loaded 2.5T CX-5 or a base model Lexus NX? I know where my money would go no question. Probably not a good comparison when you take into consideration the resale value of both vehicles, but I get the point that you are trying to make. I’d definitely go for Lexus NX. I wouldn’t, it is heinously hideous. Go ahead! It’s free earth we live on. Everyone is permitted to buy anything she/he likes. That’s great that they put a turbo on it and of course it looks good. But it still has a 6 speed??? And it needs a better AWD system too. Mazada grills are so ugly. Look at the cheapo plastic interior. Hopefully they can get this to be just at or under 6 sec to 60mph at the very least. 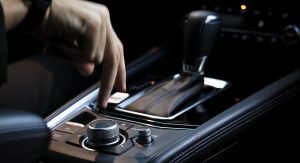 when can I get android auto and apple carplay in my 2018 cx-5 GT?